Since acquisition of The Reef Marina in January 2014, an upgrade and expansion program has commenced including completion of over thirty new marina berths and the opening of Hemmingway’s Brewery and the Barbados Bar. 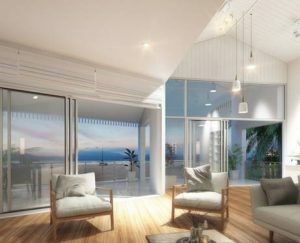 The Reef Residences represents the first material development in Port Douglas since construction of the Sheraton Mirage in 1987. The Reef Residences are located directly on the waterfront at Dickson Inlet and comprise a boutique collection of 85 residences overlooking the Daintree National Park, Coral Sea or Rainforest Walk. Residential options include five four-bedroom townhouses and a range of one to four bedroom units with shared waterfront pool, gym, function room and BBQ facilities. New owners within The Marina Residences will have the exclusive opportunity to acquire one of 32 new marina berths due for construction and be able to berth their own vessel outside their home. The marina is connected to the development via a new public boardwalk with waterfront dining and entertainment along the waterfront. Following Highgate’s success in delivering the $40M refurbishment of the Sheraton Mirage Port Douglas Resort in 2016, Highgate is now managing completion of the mixed use design with expressions of interest underway and the first stage of construction due to commence in December 2017. 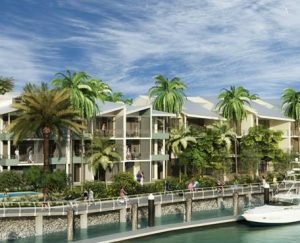 The Marina Residences are set to become another benchmark Port Douglas destination for residents and tourists alike.